Venturi and Ohio State University have teamed up to create the VBB-3 which will attempt to set a new world speed record for electric vehicles. 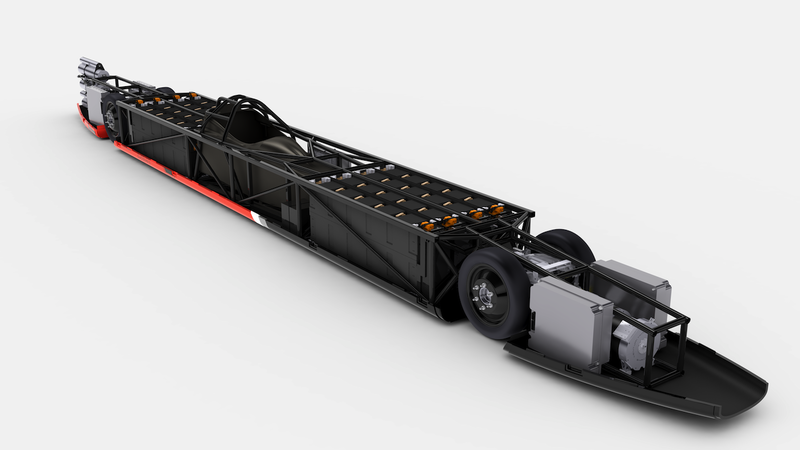 With 3,000 HP, the 3rd generation Venturi Buckeye Bullet will be the most powerful electric car ever built. 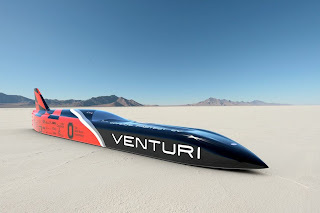 Roger Schroer, test driver at the Transportation Research Center (Ohio) and current holder of the FIA world record (which he achieved in 2010 aboard the VENTURI VBB-2.5 - reaching a top speed of 495 km/h (307.58 mph)), is planning to hit 600 km/h (372.82 mph) in 2013, followed by 700 km/h (434.96 mph) in 2014 before pushing the limits still further in 2015. 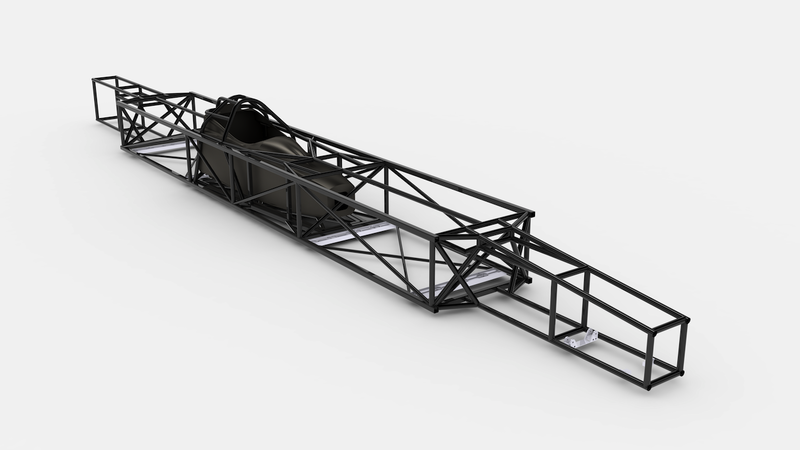 The 1st public unveiling of the VBB-3 will take place on the Bonneville Salt Flats, where it will take part in the SPEEDWEEK on August 10 - 16, 2013. The FIA record attempts will take place on September 12 and 18, 2013. 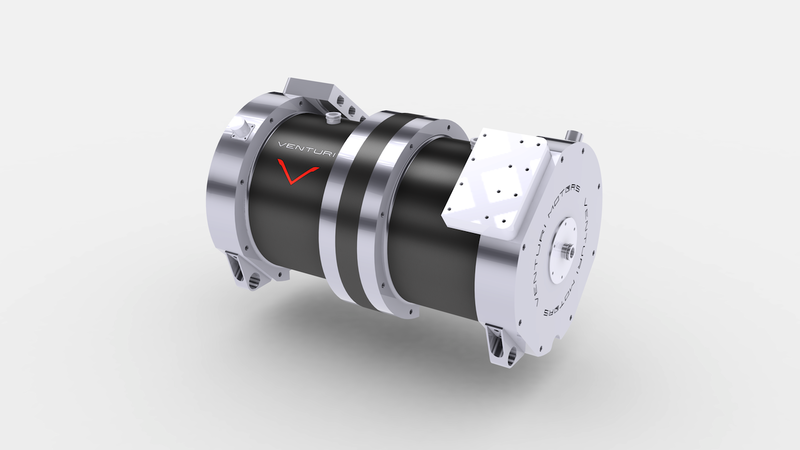 Because the VBB-3 doubles as a test bed for electric power trains subjected to extreme conditions and environments, this new records program amounts to a truly strategic R&D initiative for VENTURI. As far as the Ohio State Center for Automotive Research (CAR) is concerned. This program presents our students with a unique experience to extend their engineering education. It is the culmination of 20 years of Electric Vehicle racing at Ohio State – we do not know of any other program that has embraced e-motorsports continuously for two decades, and we are grateful to Venturi for giving us the opportunity to seek ever higher challenges in electric racing.», says Giorgio Rizzoni, Director of the CAR.